The Mae Tao Clinic was established to provide health care for Burmese Migrants in Mae Sot, Tak, Thailand. Over the past 20 years it has evolved into an organization which not only provides health care at the main campus in Mae Sot, but in several smaller clinics located inside Myanmar. Mae Tao Clinic also has an extensive training program and an excellent Child Development Center. Their accomplishments are too many to mention in one article so I encourage you to visit www.maetaoclinic.org and https://www.facebook.com/MaeTaoClinic/ Funding for this good work has come from donors large and small all over the world! However, over the past couple of years many large donors have decided to put their money elsewhere, leaving the Mae Tao Clinic with the same work load and a fraction of the funding needed. We are pleased to present to you the result of our fundraising campaign, which was held from October until 31st December, 2017. Our appreciation goes to all individuals, partners and organizations who have supported us. Highlights of the campaign are the kind offer of Borderline Collective, a teashop in Mae Sot, to donate all proceeds of its sales of one December weekend to Mae Tao Clinic. On December 31st, Mae Tao Clinic’s team organized a lucky draw event: over 25,000 tickets were sold at THB 25 each. In addition, individual supporters voluntarily carried raised funds in their home countries, including Spain, the UK and South Korea. Overall, with the campaign outcomes we can cover 20% of the costs of our 2018 activities! in addition to these lovely fundraising initiatives, we have engaged in new partnerships and have extended programs with existing donors. At the same time, our departments have thoroughly reviewed and assessed their programs to assure cost-effectiveness and sustainability. Even though there will be challenges, we are confident that we remain able to care for the vulnerable and displaced people of Burma in 2018. Once again, thank you to everybody who has made our campaign a big success. Please help us to raise awareness for the communities along the border and in Eastern Burma. Share this message, follow us on Facebook or Twitter. Chiang Mai International Rotary Club supports the Mae Tao Clinic with awareness tours and fundraising campaigns. We have raised over a quarter of a million baht in the past few years and that money has helped, but more, much more needs to be done. Currently we are at the end of a fundraising campaign to fund General Education Development (GED) testing for migrant students. On December 6th, I had the honor of attending Dr. Cynthia’s birthday party. It was truly heartwarming to see so many people come to wish her well and thank her for the marvelous work she is doing. Representatives from the community, academia and the government were on hand. We will organize our next tour of Mae Tao Clinic in late February or March. Those interested in participating are urged to contact me with the dates you might be available. In the Child Protection area, Birth Registration continues to provide delivery certificates to babies delivered at MTC. 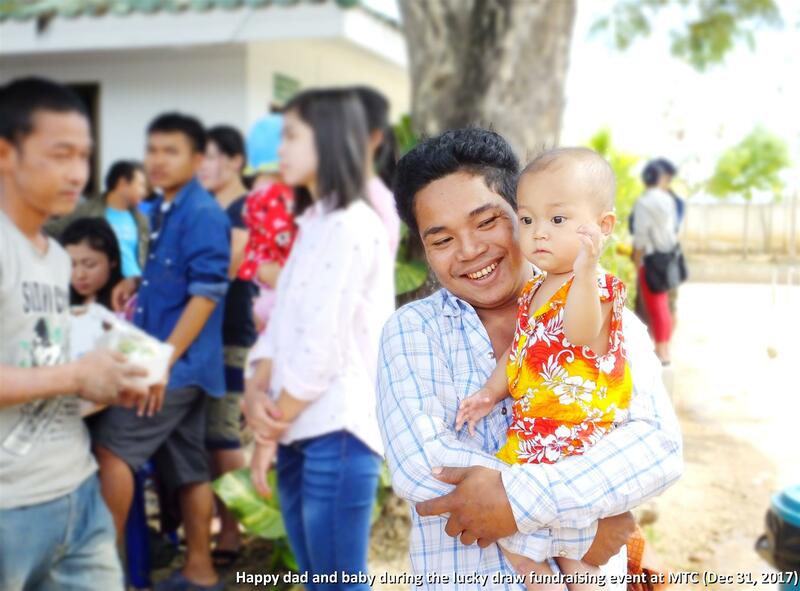 Of the 2,341 live births at MTC, 2,195 received birth certificates from the Thai authorities within 15 days of birth. Helping to fund this critical area will be our next fundraising campaign on behalf of Mae Tao Clinic, so that these children can have access to education and medical care within Thailand. We realize that we cannot do all that needs to be done, but by concentrating on one area at a time, we hope to have the best impact possible.